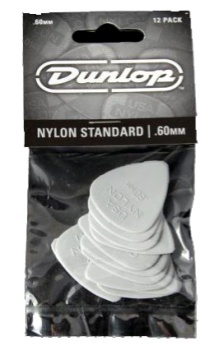 Dunlop Manufacturing produces many different types and sizes of picks to suit the varied preferences of today's musicians. Dunlop's wide variety of gauges, shapes, sizes, and materials allows the player to select the exact guitar pick for his/her own particular style of playing. One dozen.